This app allows you to remotely connect to your Torrent Server from anywhere, so that you can keep up to date with the Status of your Torrents, easily modify Torrent Settings, Stream or Remotely Play Completed Media and more. This App supports multiple Torrent Servers at one time, including multiple different types of Servers, it features Toast Notifications that are Actionable, meaning that you can Stop the Torrent, or Play and media, or open the Download folder as soon as the Download completes (Requires the Download folder to be mapped in the app). What are you trying to say? 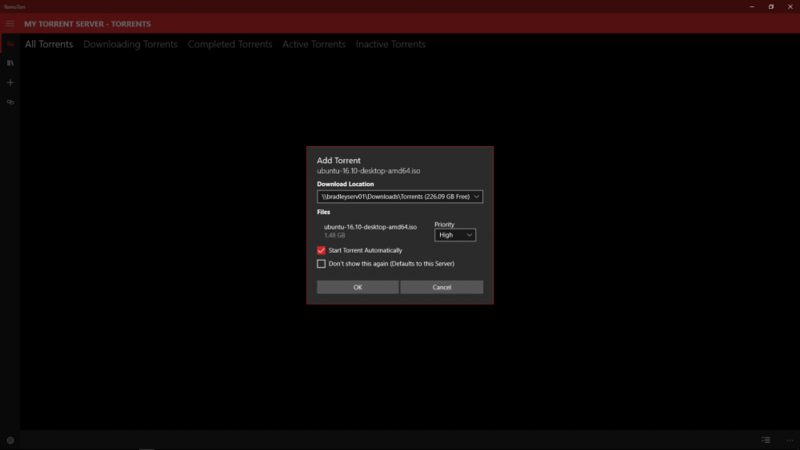 Will we be able to observe our torrent statuses and whatever is going on in Utorrent on our PC at home remotely while sitting somewhere else? 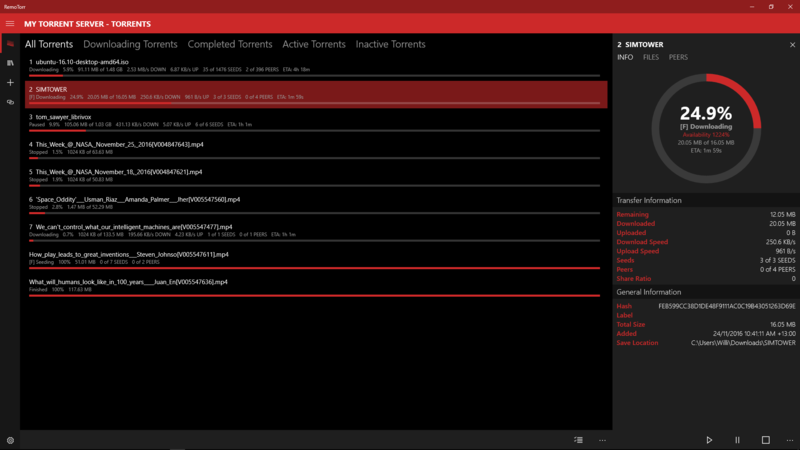 Yes, It allows you to observe Torrents that are downloading on a uTorrent client using the Web API. You will soon be able to stream or download finished Torrents to your remote device as well. Currently that is over 400 Million Active users, so its Windows 10 Compatibility is more than you think. Yes, it must be that good but tell me how can an iOS user get benefitted with it...Seems like I have to keep a check on it whenever you launch an app for iOS devices. Unfortunately Apple doesn't allow any Torrent Related Applications on its App Store (Users have opportunity to use it for Illegal Activity, but the tools aren't Illegal themselves, Apple doesn't care either way), but It is possible for me to Port it to Android, or IOS (Requiring Jailbreak). However, since this was a Personal Project, it will stay a Windows Exclusive.